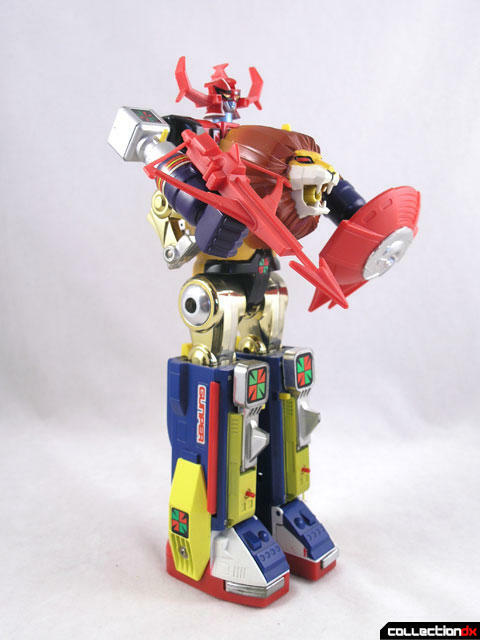 With the upcoming release of the Soul of Chogokin Daltanious, I thought it would be a good time to look back at the classic DX Chogokin from which it draws inspiration from. 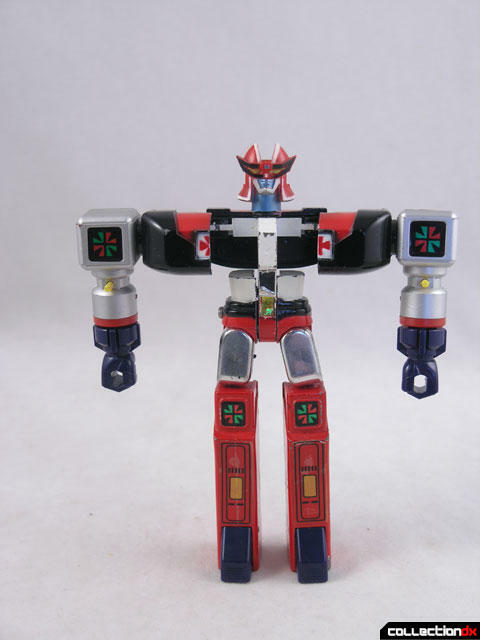 The DX Chogokin Future Combination Daltanious was released by Popy in 1979, and was later brought to the US as part of the Godaikin line in 1983 where the spelling was changed to Daltanias. 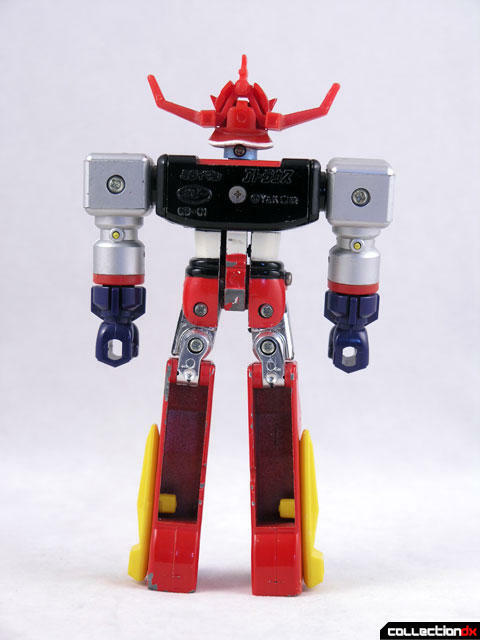 Although the toys are identical, this came particular toy came from the Godaikin release, so that’s the spelling we will use. The box for this is in storage, and is not shown in this review. When the Japanese version was brought over, they discarded the front and back covers and replaced them with Godaikin packaging and instructions. Otherwise the toys are identical. 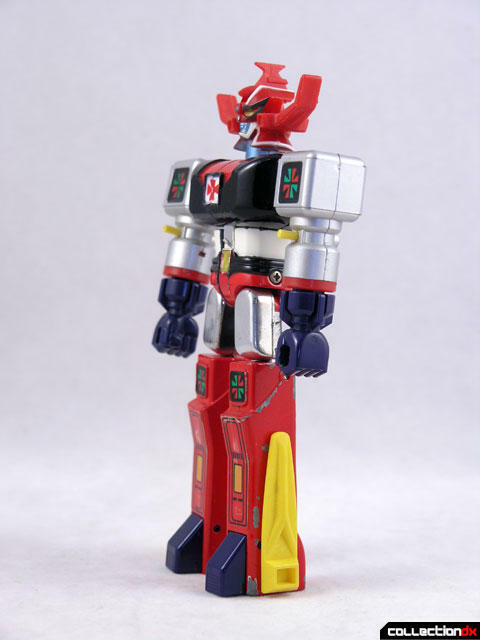 Atlaus (Atlus) – Atlaus is a humanoid robot, and froms the head and upper arms of Daltanias. 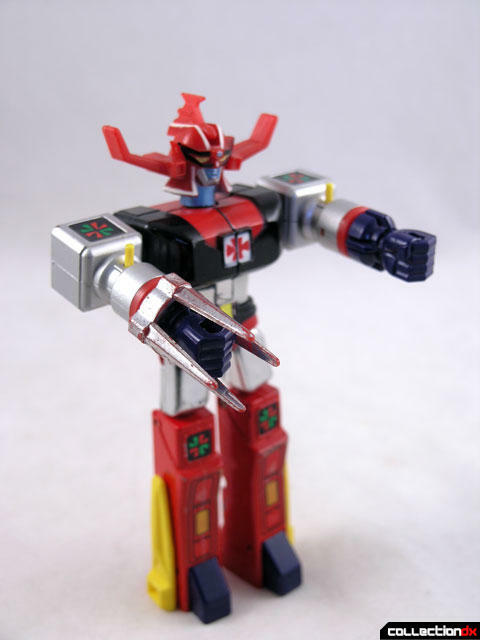 In Japan it was released as a stand-alone toy with a Chogokin number of GB-01 as well as included in the DX box set. Atlaus is mostly diecast, aside from the head and fists. 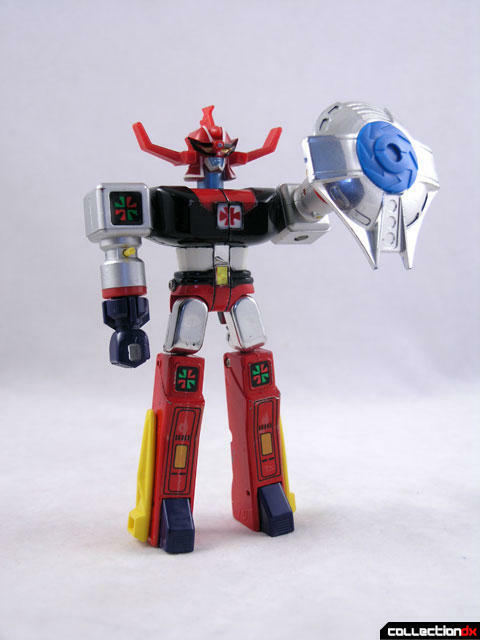 Both fists fire (4 small fists are included) and Atlaus is equipped with a sword, shield, shredder attachment, and two-sided blade. 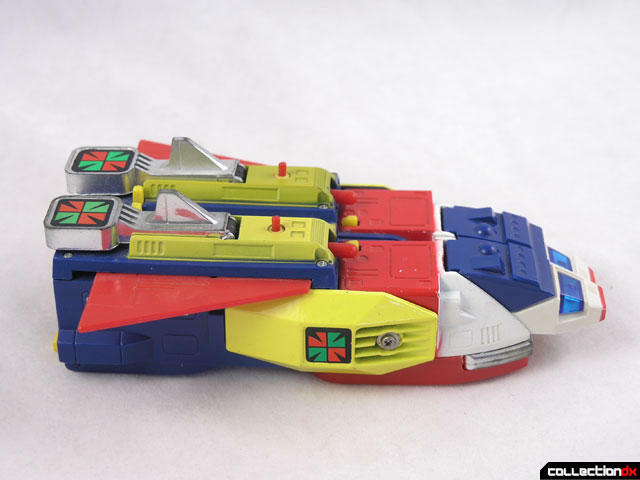 The ship in the head is called the Del Fighter. 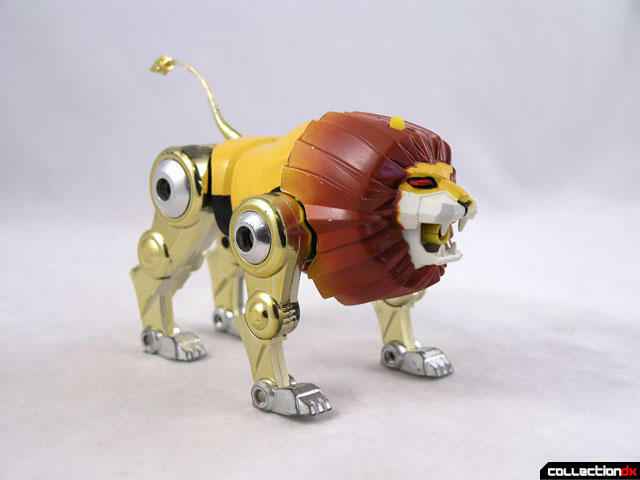 The yellow panels on the legs can be removed and used as weapons. 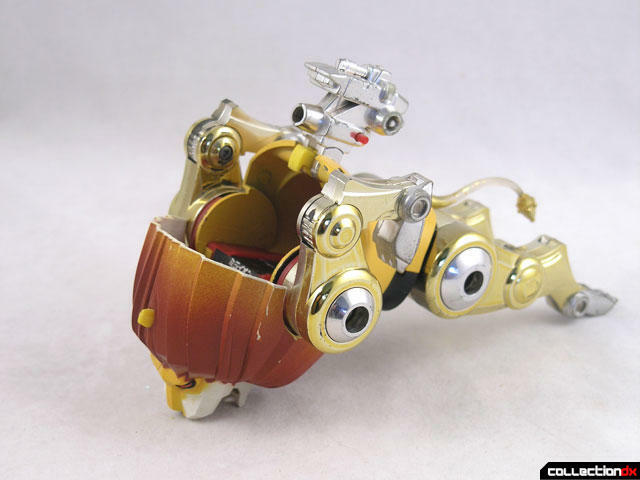 Atlaus is often found with paint chips around the legs and waist due to the metal-on-metal connections when transformed or combined. 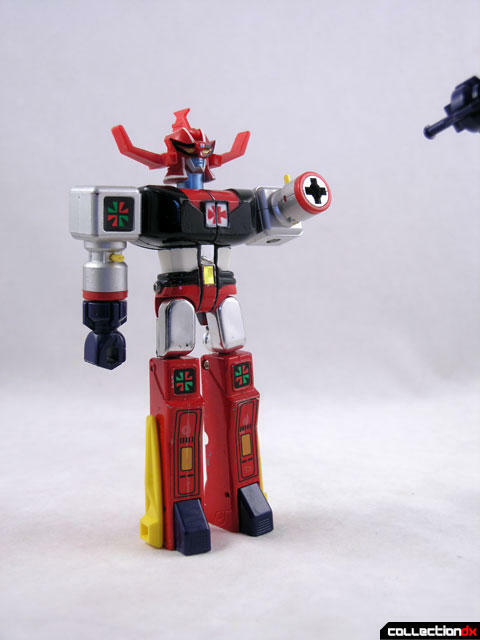 The white paint on the chest often has mild overspray. 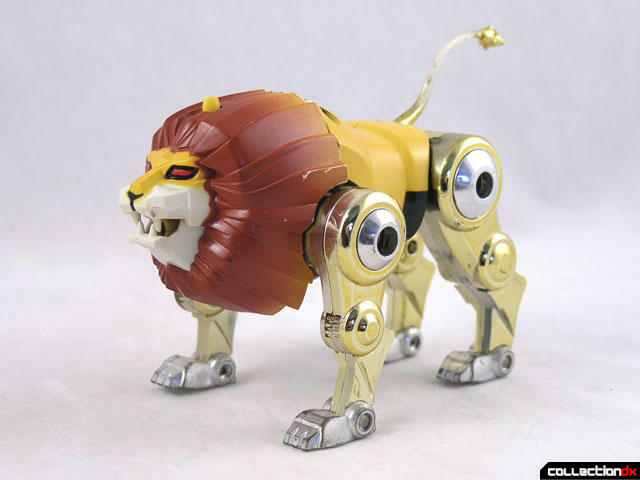 Beralious (Verilaous) - Beralious is a robotic lion and forms the torso and upper legs of Daltanious. 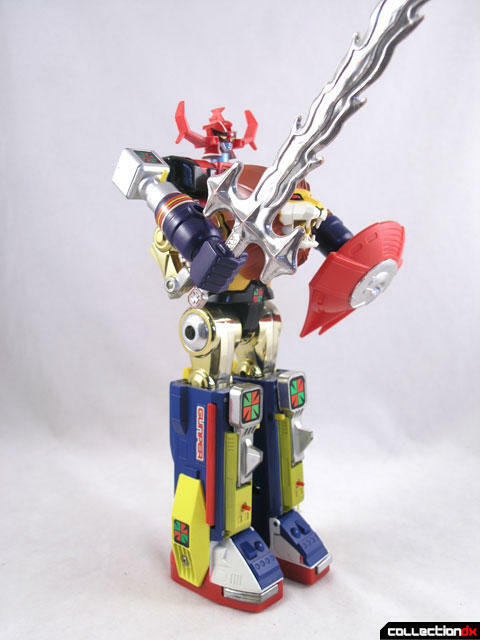 This was also sold as a stand alone Chogokin toy with the number GB-02, as well as being included in the box set. 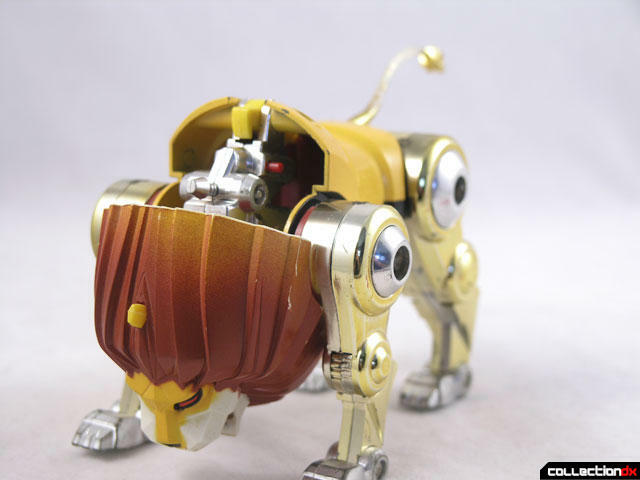 Beralious has a diecast body, but the legs, head and tail are all plastic. The tail is broken easily, and the chrome can tarnish and flake over the years. 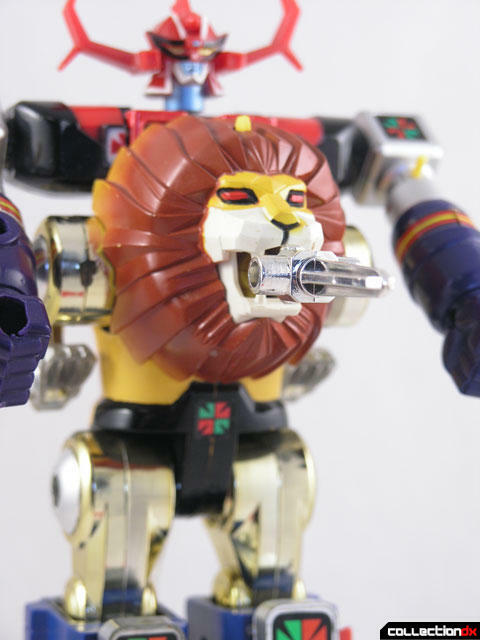 The jaw of Beralious can open and close, and inside is a missile launcher. You can fit either the small red missiles or the larger red or chrome missiles in the launcher. On the top of Beralious is an additional chrome missile launcher, which also can launch any of the included projectiles. 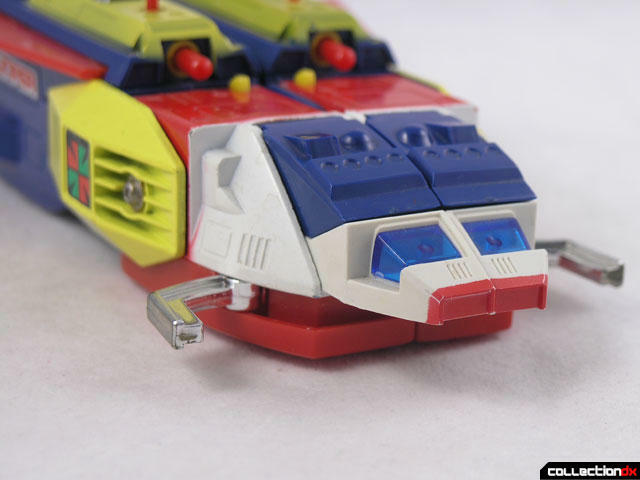 The larger missiles can also be plugged into the legs for storage. 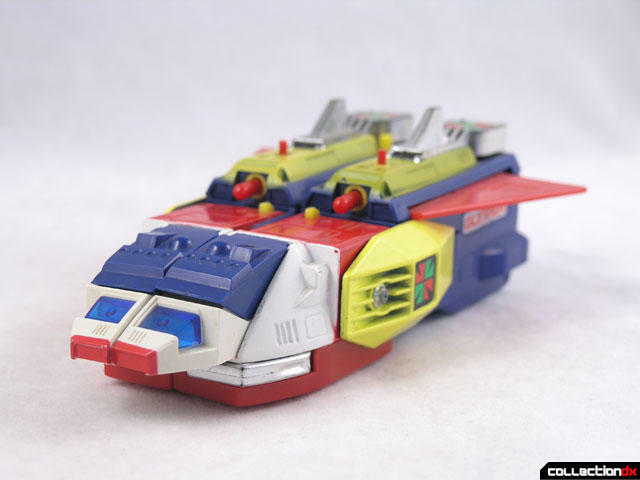 Gunper – Gunper is a futuristic space ship that becomes the legs of Daltanious. This too got a stand alone release, but because it is a vehicle was instead part of the Popynica series, getting the number PB-81. 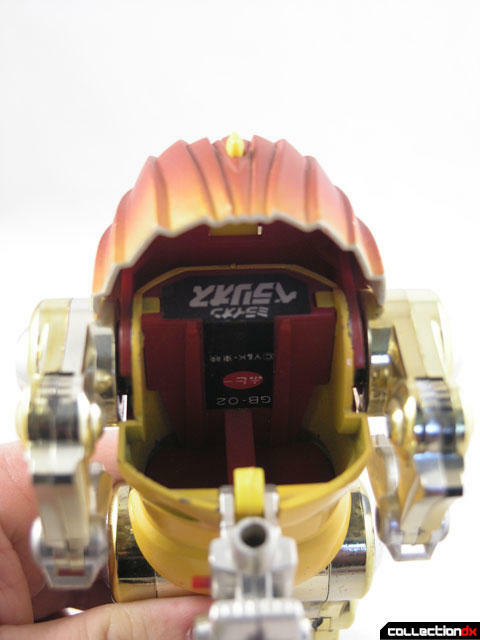 Metal in this release is limited to the cockpit of the ship which become toes in robot mode. 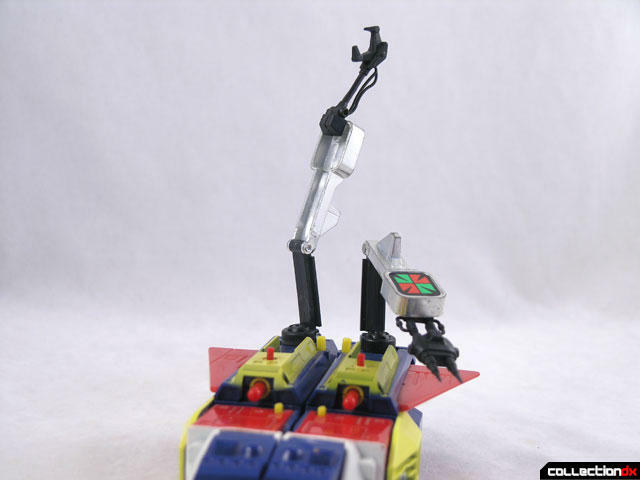 Gunper features spring loaded wings, two top mounted missile launchers, hidden claws and two articulated arms that you can attach two different “tools” to. 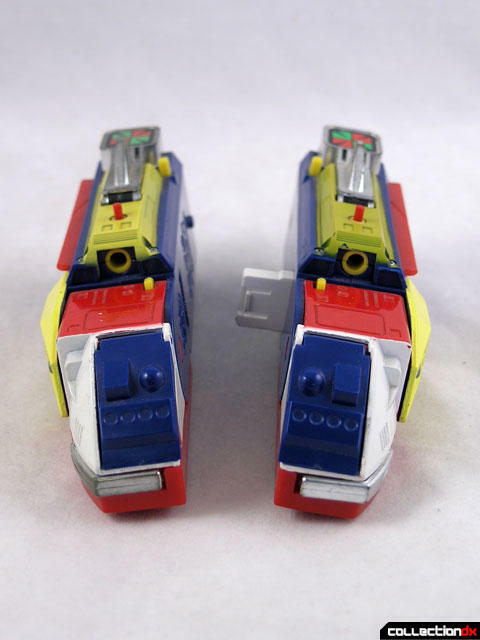 The cockpits are also spring loaded for when Gunper returns to vehicle mode. 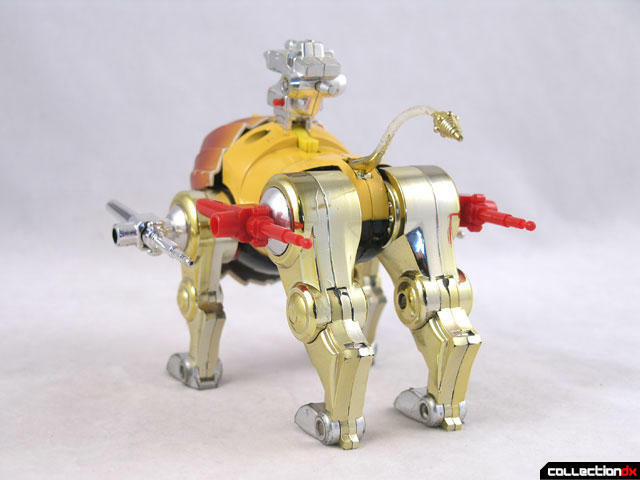 Metal wheels on the bottom allow Gunper to roll. 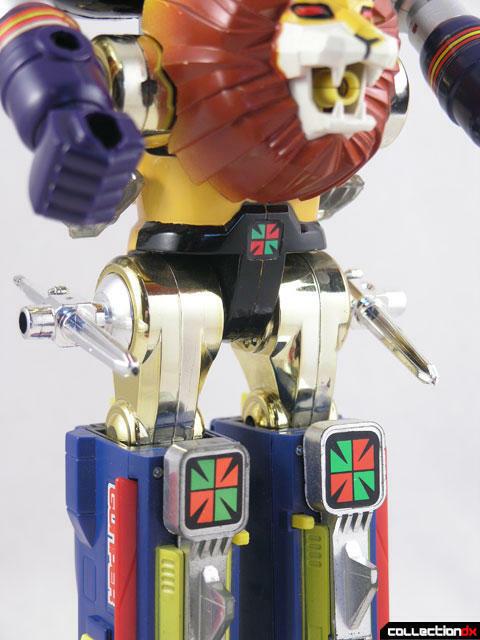 Transforming Daltanias is simple and really evocative of Golion. 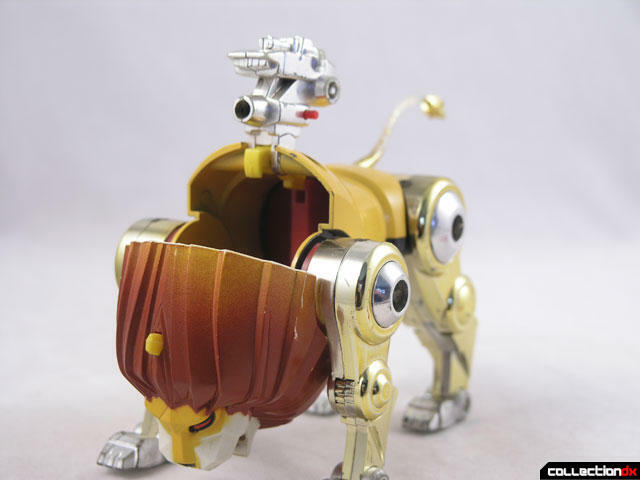 This should be no surprise as they were both developed as toys by legendary Popy toy designer Murakami. You begin with Atlaus by removing the yellow leg panels and setting them aside. The next step is expanding the chest section and folding the legs inside. The small Del Fighter is replaced with a larger more ornate version. Two large fists are then slid OVER the existing small fists. For Beralious, you straighten out the back legs and fold up the front legs, and then you rotate the head down to reveal the cavity inside. Atlaus slides inside and clicks in place by a yellow tab in the back. Gunper’s wings fold in, the cockpit pushes in and clicks into place. 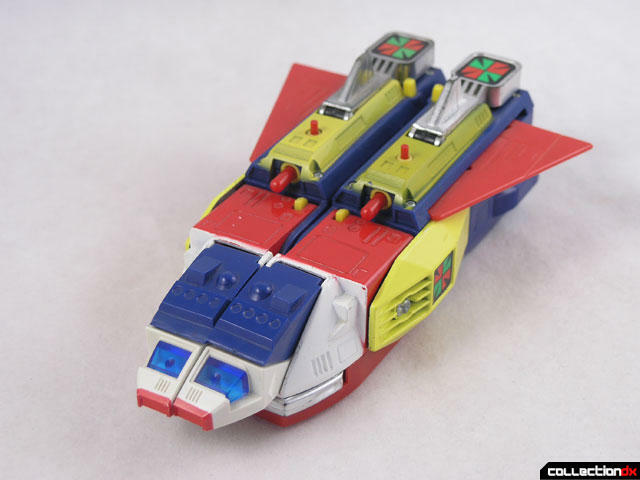 The entire ship splits down the middle (it’s held in place with a white connector part) and then the toes bend up. 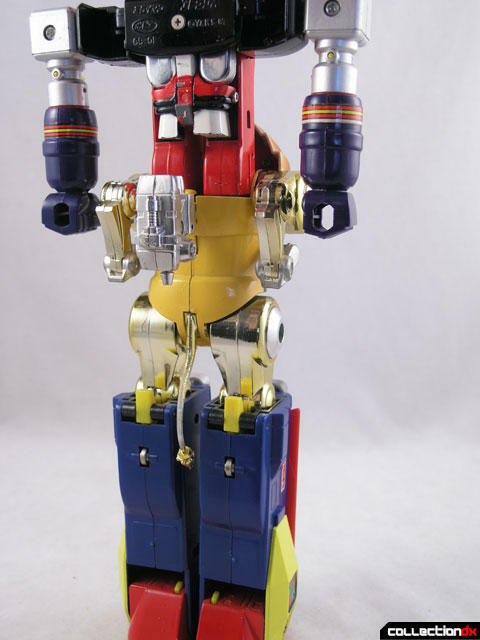 You insert the lower legs of Beralious into the openings in the top of the legs and they also click into place in a manner very similar to Golion. The completed robot stands tall and proud. It’s a very solid combination, and would have held up well to a child’s play. 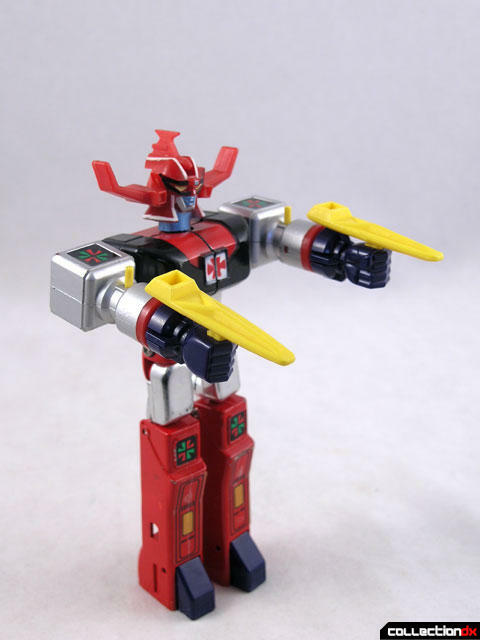 In this mode, the legs and arms move, but that’s about it. 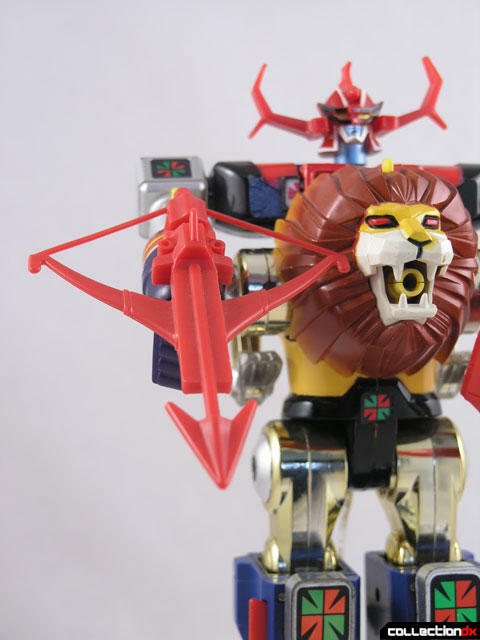 Daltanias features a few new accessories that are used only in this mode. 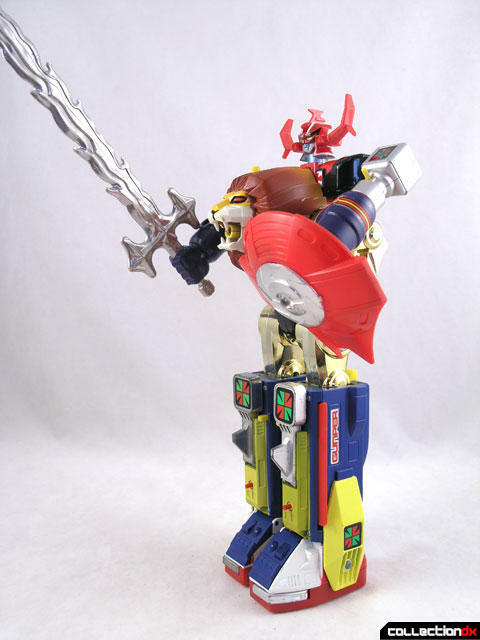 The large chrome flaming sword can be fit in either hand. A large shield is included. The crossbow can only be used in the right hand due to the additional hole in the arm. This piece is legendary. It’s a classic. 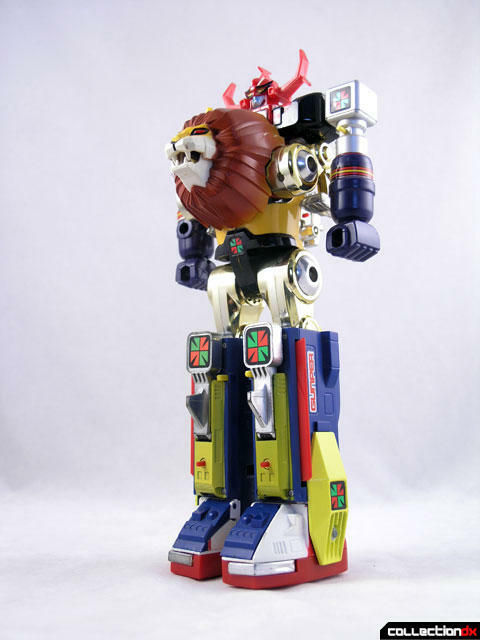 I never owned it as a kid, but I had others in the Godakin line, and this feels right at home. 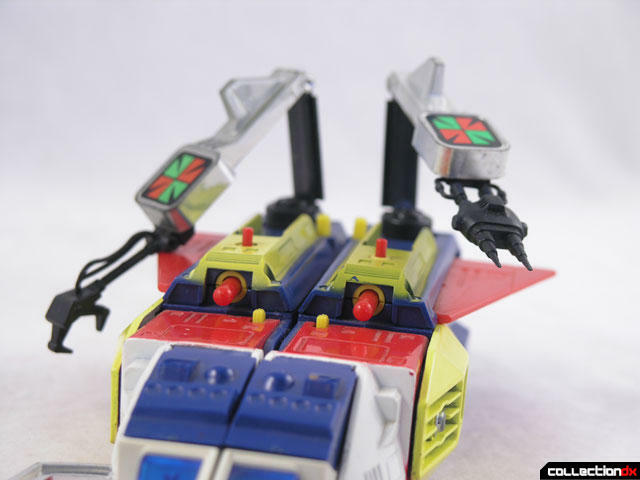 My example may not be the most pristine, and I am actually missing a few missiles and the smaller sword, but I like that I can just pick it up and transform it without worrying about scratching it up. 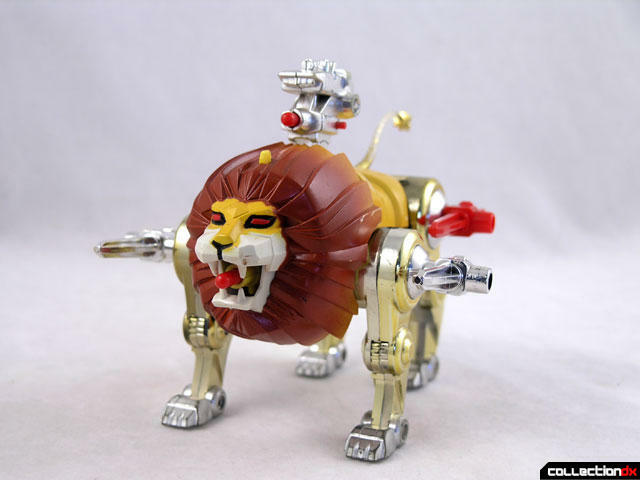 Yeah, look at those chrome limbs. Clearly superior to the SOC. Totally agree. I was all set to buy the SOC until I saw it painted, and it just doesn't have the same charm. I have to say that I like much better the SOC one, I mean if you had watched the cartoons back when you were a kid (like I did), believe you will prefer an anime accurate version. 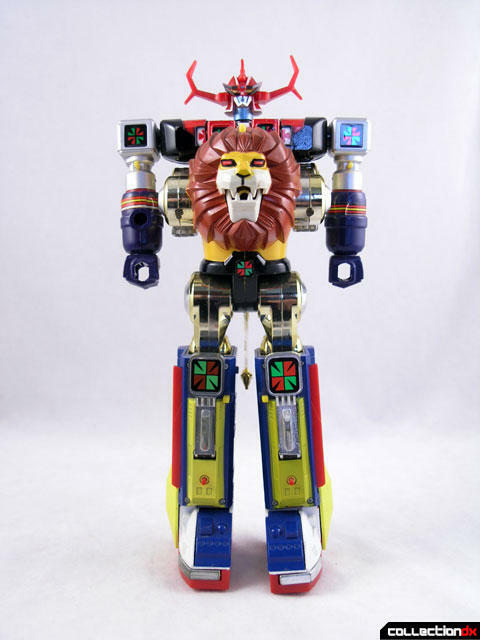 I tried many time to purchase the one from the Godaikin series from eBay ( no luck with the bids / budget), and I finally stopped looking and bidding when I heard of the new SOC one, which I already order back in January (can't wait to get my hands on it). The weapon looks like it got blood on it! TOTALLY UNSAFE!! While the SOC might be anime correct.. for me the charm of the older toys wins through every time. 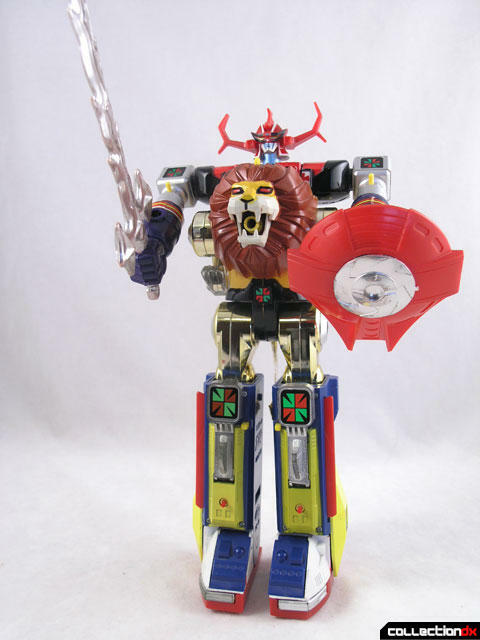 I grew up in Tokyo, playing with my Clover Gundam, Gordian,Gold Lightan, and Dougram toys and I always preferred the more colourful, chromed versions to the more accurate kits that started to come out. 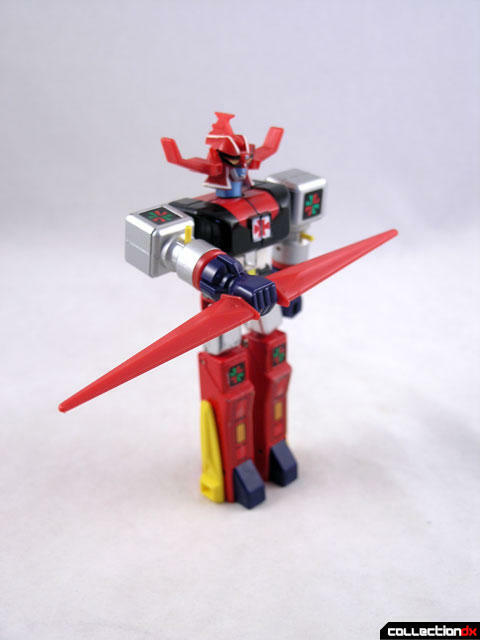 I think i left all their missiles and projectiles scattered over the back streets of Naka meguro..
Great review of this classic toy... I hope Some enterprising company eventually rereleases the original versions.. I'd certainly buy them all! Man, I'm stayin' the hell away from that lion! 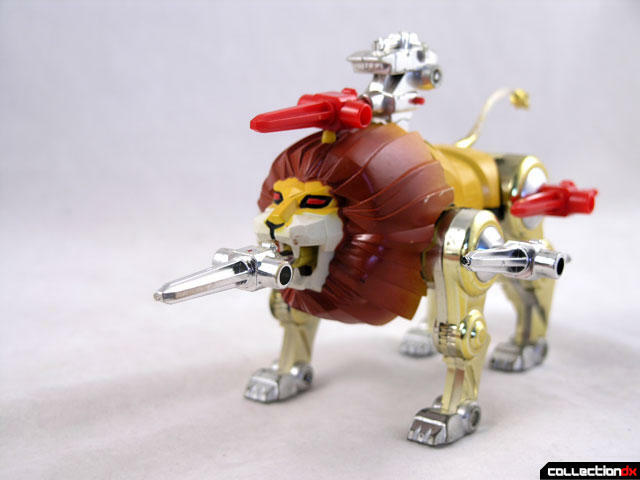 I mean, I'd stay away from lions anyway, but you need to be even farther away and hidden in a bunker to get away from the lion with the gun in it's neck. 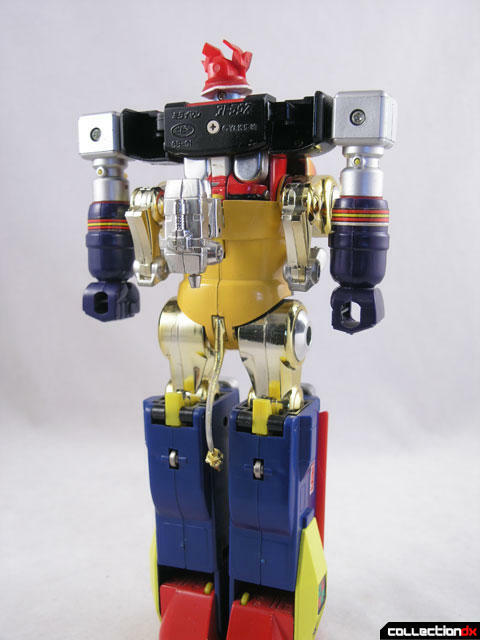 Anyway, related to the toy: That looks like the ultimate "I lost all the parts" toy. 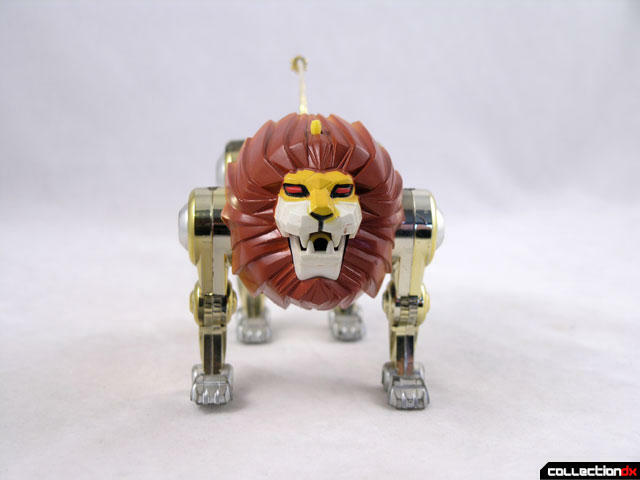 If anyone had that when they were a kid, I think it would be a special achievement if they still have every single part. Give that person a metal. 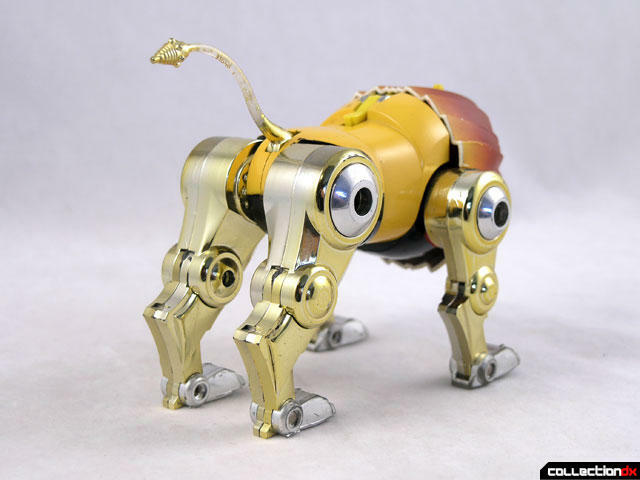 A die-cast metal. ...how did you get that shot of the fist launching without any human bits in the way? Are you holding the piece just out of shot? You are correct, I'm holding it just out of frame. Man Im on the fence on this one. 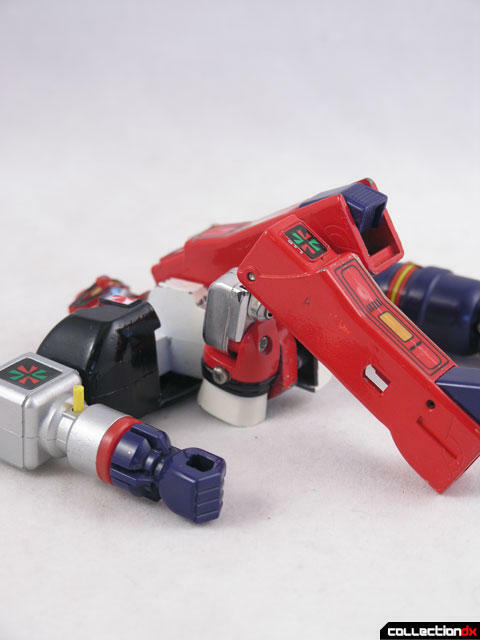 I sold some of my Godaikins and got the soc's but I drew the line at Golion. 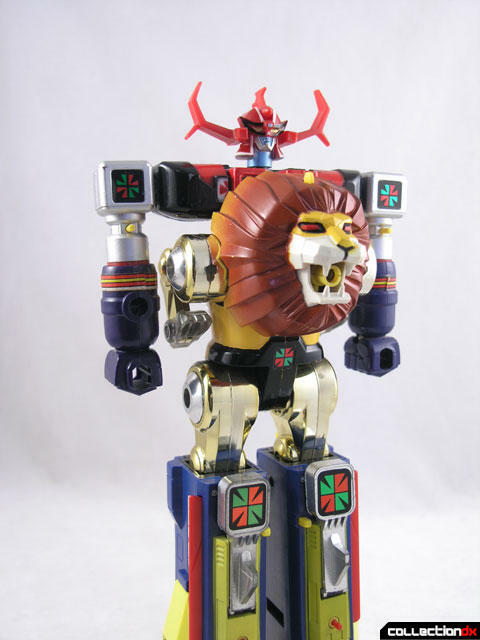 I.said I.wouldn't be getting any modern gokin if I already had a vintage representation of the character. I've already broken that promise. So what to do? Nice pics Josh. And great you had enough of the weapons around to show off the toys loaded up. 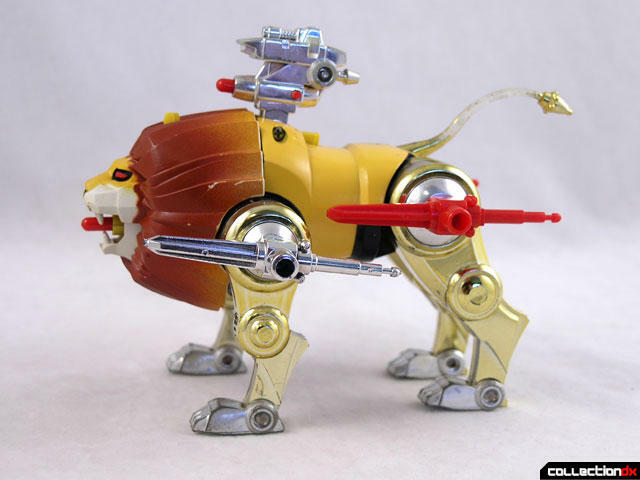 I agree with Jack, that I too like the chrome bits on this, and other old school toys. The proportions are already whacked out of the reality ballpark, so may as well jazz the coloring up while at it, haha! @demize, these old sets only get more attractive as we all age, so if you can, pick them up and keep them! Godaikin sets like Daltanias still show up in random places. There was quite a lot of stock back in the day, and much of it just wasn't appreciated by kids, or like my family , just couldn't justify big expensive toys that weren't something to ride on, like BigWheels, or bicycles, and such, so what stock didn't go overseas, got clearanced out in here. 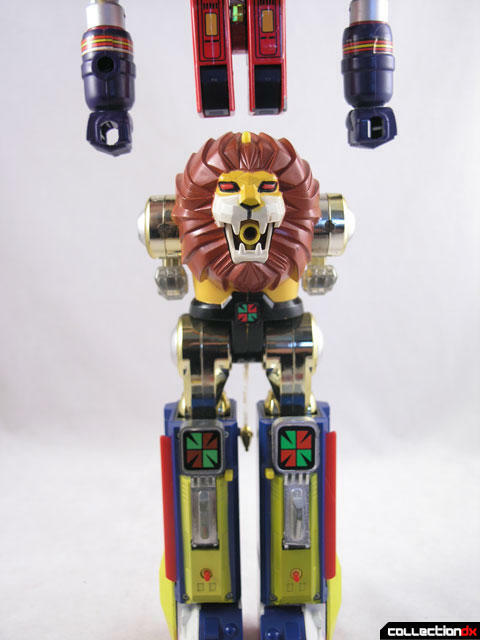 I think a bunch of these hung around, and didn't get beat on by kids much , just put in the attic/basement, with minimal use, and later traded in to comic shops, hobby/train shops , antique/thrift shops, and show up at that once in a million yard sale, or flea market, and toy conventions. There' s always auctions too. Either way, when you can get one, get it! Hey @John I meant should I sell my Godaikin and get the soc. You almost had my VoltesV remember? 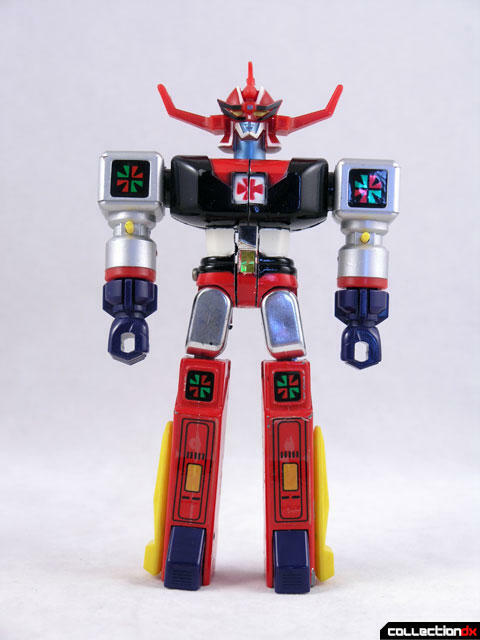 Since I sold that I have sold the other Tadao Nagahama bots and replaced them with socs and there seems to.be a.loose connection to this one with the trio. So im thinking real hard on this.